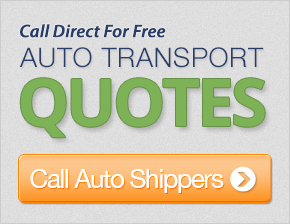 Get up to 7 free auto shipping quotes from the largest, most trusted Idaho auto transport companies and save up to 50% on your car shipping rates at CarMoves.com. Car shipping companies in Idaho compete for your business, which is how you can save hundreds, if not thousands of dollars on car transport services by shopping with us. Whether you're shipping a car to Idaho, across the country, or even overseas, we can help you get the best price on your shipment - guaranteed! Read more about the following auto transport companies in Idaho before getting a quote. Click on the name of the company to read a full review. Get a free auto transport quote today to find out how much it costs to ship a car to or from Idaho! 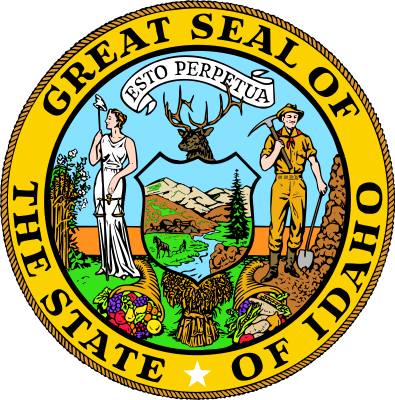 Idaho is a large, mostly unpopulated state that borders six other states in the Rocky Mountain region of America. Many people are familiar with Idaho Potatoes, and for good reason - as the state is still predominantly full of rural farming communities. The potato, of course, is the state's most popular crop; its production accounts for one third of the almost a third of the US production of potatoes. Wheat is the other main product farmed in Idaho, and processed cheese is a final agricultural product that farmer's develop. Besides farming, Idaho's economy is reliant on mining, manufacturing, as well as science and technology, which now represent about a quarter of the state's emerging economy. Most of the science and technology developed in the state is based in its most vibrant city, Boise. Despite Idaho's reputation as a rural center, the state's capital, Boise, is a major urban metropolis in the Rocky Mountain region of the US. Only Seattle and Portland are larger than Boise, hinting at just how much the Pacific Northwest and surrounding areas are made of small towns still to this day. Originally established as a fort, Boise is now the home to companies like Albertsons LLC, and science and technology companies include Micron Technology, which is based in Boise, as well as ON Semiconductor and Hewlett Packard, which have operations in the area. Call centers representing these companies and many more have also provided numerous jobs to the region. Boise isn't just an economic champion, it also houses the state's largest and, perhaps, most notable university, Boise State University. Boise State is particularly accomplished in providing a top-notch engineering program, which is logical considering the large number of engineering jobs available in the state. Geographically, Idaho is a particularly mountainous state, with vast vistas and a number of raging rivers. The Snake River is the standout river in the state, as it carves a path through the earth in an area known as Hells Canyon, the country's deepest river gorge. Hells Canyon, however, is one of the least accessible natural wonders in the country, as very few roads go near it at all, and none go directly to the area. Thanks to the state's abundance of rivers, hydroelectric power is the main supplier of the state's energy, though a strain on this system is expected as Idaho's population continues to rise in the 21st century. Finally, the weather in Idaho can be quite agreeable, or at least more tolerable than one would think for a state in the northern US. Summers can be quite warm, and though winters are indeed cold, they rarely stay excessively cold for long periods of time. The western half of the state is, in fact, still affected by the temperate effect of the Pacific Ocean, which contributes to the state's overall habitability. CarMoves.com works with car shipping companies throughout the state of Idaho. We can help you get the best prices on car transport services to the following cities in Idaho: Boise City, Nampa, Meridian, Idaho Falls, Pocatello, Caldwell, Coeur d'Alene, Twin Falls, Lewiston, and many more. If you don't see your city listed, don't worry - we can get your vehicle shipped anywhere in Idaho. Scroll to the quote section on this page to compare free auto shipping quotes from up to 7 Idaho auto transport companies and save up to 50% on your move! View the Idaho Department of Transportation website for more information.